Be the first to hear about their new releases and deals. 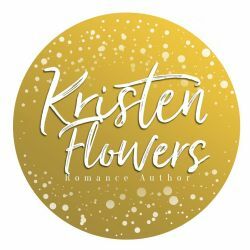 Download the Booksprout app and search for Kristen Flowers today! My name is Kristen Flowers and I live in western Michigan with my two cats and loving husband. I’ve spent my whole life wrapped up in books, movies, and my favorite TV shows. To put it simply—I love a good story! Only recently have I decided to embark on this crazy fun-filled adventure of writing my own books. It can be tough putting a story out to the world, but nothing brings me more happiness than seeing my reader’s kind words. If I can put a smile on a readers face and make them feel how a character feels, I’d be a happy writer. Knowing I can spread a little happiness to others makes every word I put on the page worth all the hard work! I’d love to spread that happiness to you. To hear about my new releases, sign up to my mailing list below.